The motor and transmission. Does the motor have the power to pull the blade through the cut and are the belts able to transfer the power from the motor to the drive shaft without slipping? The blade. Will the blade be able to cut straight across the entire cut width and can it withstand the cut forces? The saw frame. 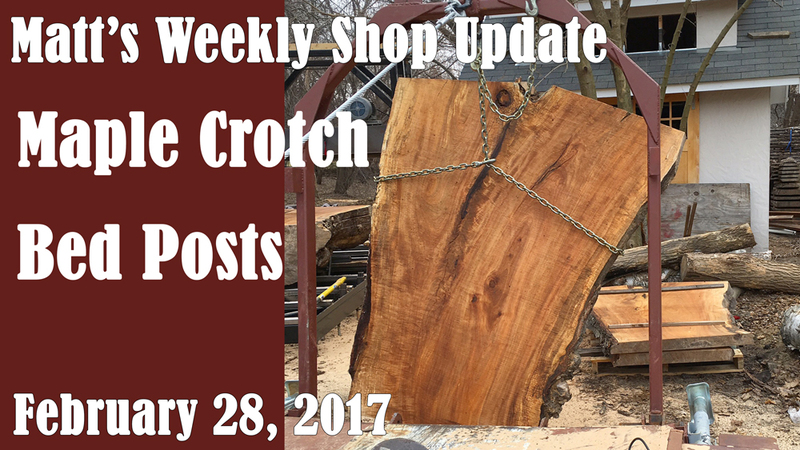 Is the sawhead stiff enough and strong enough to withstand the cutting forces? 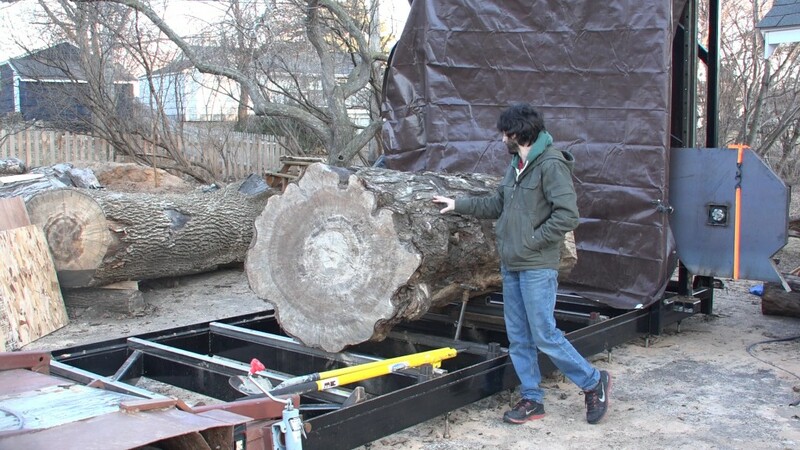 My friend, Donavan, had a massive elm tree removed from his yard and he had asked me to mill it into lumber for him. 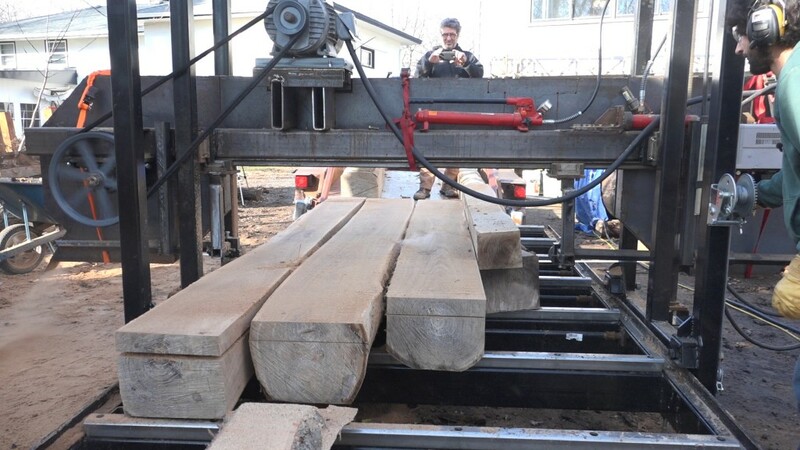 The base of the tree is in his back yard and is inaccessible so it will need to be milled onsite. 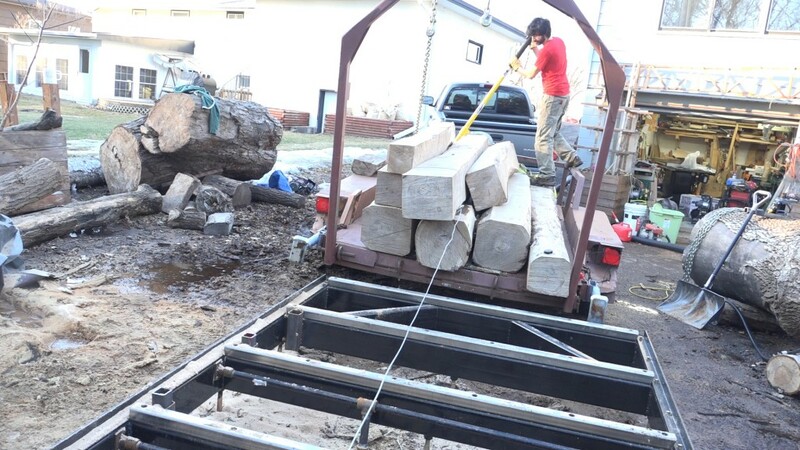 The upper canopy was removed with a crane and stacked in his front yard. Donavan cut these logs into cants so they could be moved. 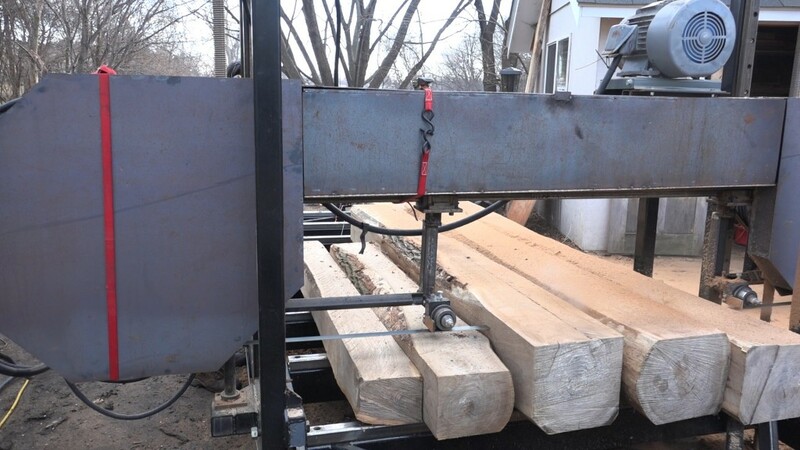 I’ve had them loaded on my trailer for a few months now waiting for the mill to be ready. 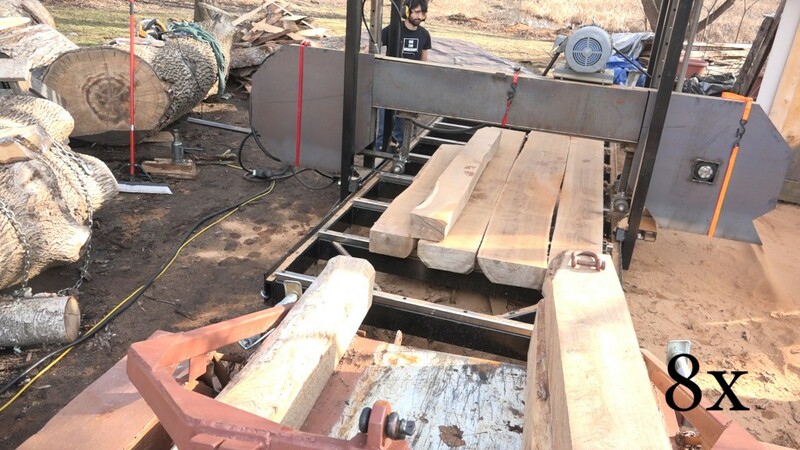 These cants will make it really easy to try a progressively wider cut without risking a big log. 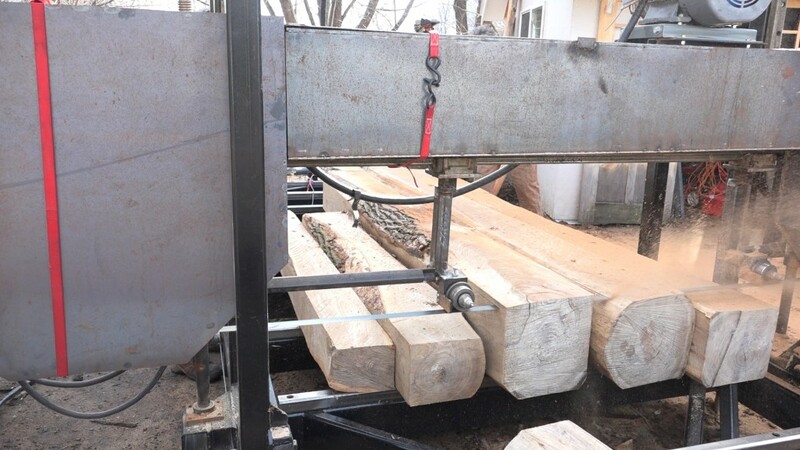 They can be set next to each other on the bed and cut all at once to simulate cutting one wide log. I stacked 5 cants on the mill which would give a cut width of 61″; not quite the maximum of the mill but still a ridiculously wide cut. 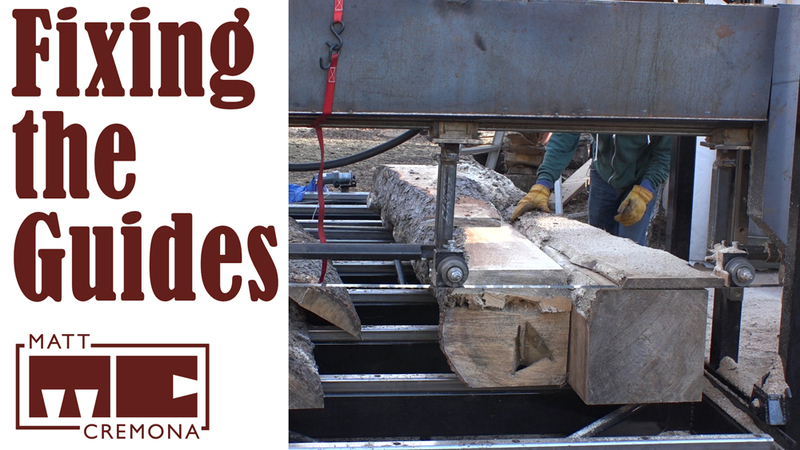 To establish a baseline for these cuts, I put a new blade on the mill. 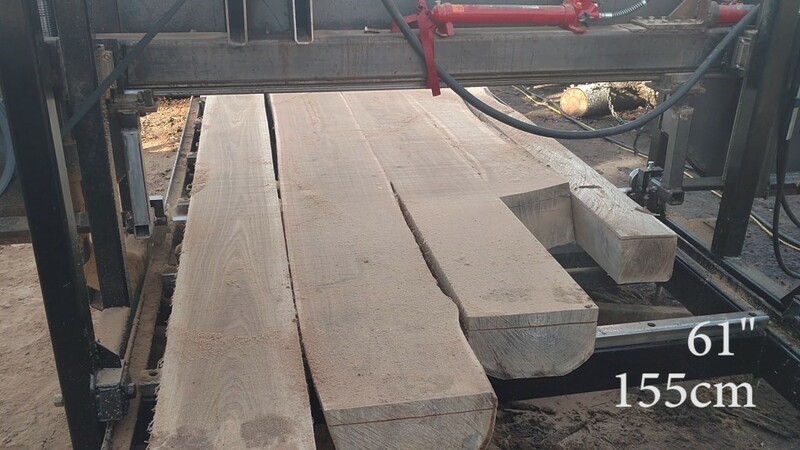 The first few cuts were made at 4/4 to start getting the larger cants down to the same size so the blade would pass through them all. The tests went way better than I imagined they would. The blade tracked perfectly and the saw frame had no issues. The motor never really bogged down and the belts kept turning the pulleys. The cut speed was also at least twice as fast as I was expecting and probably 6 times faster than doing the same cut with a chainsaw mill. With that test behind me, I am confidant to start sawing my big logs. They are the reason I built this mill in the first place. I’m getting close. Started working on the plans again last week. A bit of detail work and verifying is all thats left. thanks! Hello Matt, congratulation for the performance of your machine! I would like to know, if you could share, the blade speeds that you use in this and other cuts, and if you have any experience like have to change the speed through the inverter frequency, in order to achieve better performance in the cut. Thanks for your content! Blade speed is approx 4600ft/min. I haven’t adjusted the speed at all. This is probably the fastest speed that the motor could maintain without bogging down. Thanks! 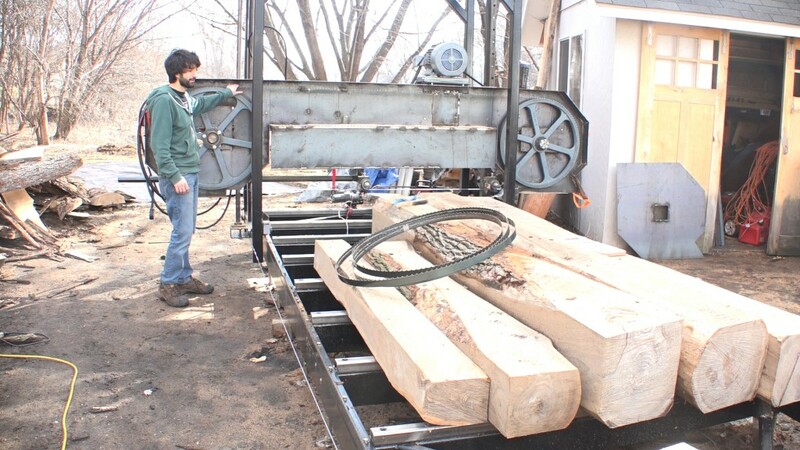 Mark, I have to ask: How did your neighbors react to the creation of a band saw mill right next door?